What is most tragic about disenrollment is that some have lost their homes, no health insurance and some have major health issues, they are just trying to survive, legal bills to fight the disenrollment has now taken over. It has taken a deep , devastating toll on them all. To illustrate the record-keeping and federal administrative quirks, Hinmon points to a photograph of his grandmother and her sisters. 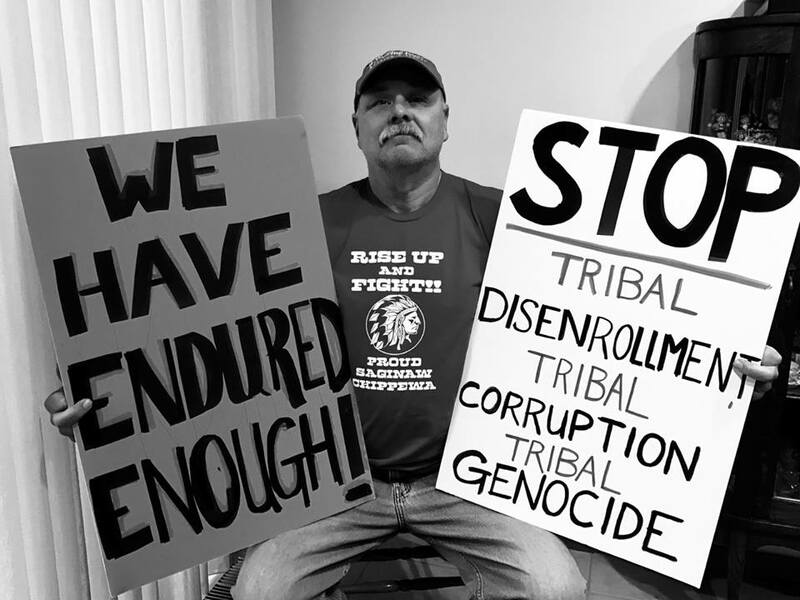 While his grandmother is no longer a Tribal member, one of her sisters is the grandmother of newly-elected Tribal Chief Steve Pego. Those original three bands, who settled on federal land set aside for them in Isabella County beginning in the 1850s, were later formed into the Saginaw Chippewa Indian Tribe under the Indian Reorganization Act of 1934. But because older federal records could not be located, and because the Bureau of Indian Affairs was allocated only $2 million to reform all tribes in the nation, federal authorities instead formed the Saginaw Chippewa Tribe as a group of “Indians living on a reservation” and relied on later residency rolls for membership purposes.